AutoNation Inc. will start selling self-branded service contracts in 50 Texas stores this month, in a move that begins the retailer's nationwide launch of private-label finance and insurance products. AutoNation plans to brand all protection products sold in its dealerships under the AutoNation name by year end. It plans to begin selling those products online in 2016, after an online pilot to be conducted this year. Private-label products are another way to add substance to the retailer's branding initiative, CEO Mike Jackson said. That initiative began in early 2013 with most of the company's dealerships assuming the AutoNation name in place of regional brand names. "By extending the brand AutoNation to mean something, you have to take it to more than just a name on the store," Jackson said. "Every time I sell an AutoNation product that delights a customer, like a service contract, that further binds the customer to us in another new way, rather than handing them off to a warranty company." Before this month's move, AutoNation, the country's largest new-vehicle retailer, sold 18 extended service plans across the company. AutoNation executives say the company took the best elements from all 18 to create one plan that offers what it bills as "best-in-class coverage." The AutoNation plan is provided and administered by the Warranty Group, a service contract provider in Chicago. Through the rest of this year, AutoNation plans to add private-label options for its other F&I products, provided by the same vendors the company works with today, said Steve Strader, AutoNation's senior vice president of customer financial services. Those include vehicle appearance protection sold via PermaPlate and tire and wheel coverage sold via Safe-Guard Products International. The new approach is possible because customers now know the AutoNation name, Strader said. Third-party surveys show that consumers have a higher awareness of the AutoNation brand than of the brands the company used to use, he said. In the past, "We were not comfortable in trying to launch what we call a private-label product because we did not have the brand recognition," Strader said. "Now we do." The private-label products will be sold at all domestic-brand and mass-market import-brand stores carrying the AutoNation name. The initiative excludes the company's luxury-brand stores that haven't adopted the AutoNation brand name, Strader said. 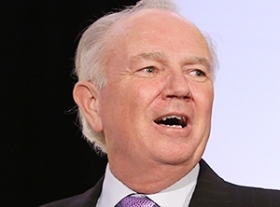 AutoNation isn't shutting out products offered by the automakers. But those plans will be sold only when customers request them. For instance, if a customer at an AutoNation Ford store wants to buy a Ford-branded extended service contract, AutoNation will sell it. But "we're going to attempt to sell our own plan first," Strader said. While the products will be provided by third-party vendors for now, the company eventually may consider doing so itself. That would be more profitable, but it would require AutoNation to develop the scale and experience to administer such programs and the resulting customer claims, Strader said. He said AutoNation will stick with the third-party approach for at least three years. "I would venture to say down the road that a lot of these products and services that we use third parties to administer and provide, over a long-term horizon, will all gradually migrate to within our company," Strader said. "But that's a decision we haven't made yet."